Yesterday Microsoft explained in full detail all four conditions that led to catastrophic data loss when installing the first release of Win10 version 1809. Here’s what you can expect from the second wave of releases, builds 17763.17 and 17763.55. In one of the worst Windows rollouts in history — at least since Windows 3.1 — last week’s rollout of Win10 version 1809 left some PCs with empty Documents, Photos and other folders, and it managed to mangle user profiles for others. The net result was mayhem, with Microsoft yanking the 1809 upgrade three days later. 17763.1 = the original release. Not available anymore. Upgrading to this build can zap all of the files in the indicated folders. 17763.17 = the version you get if you’re in the Slow or Release Preview rings. 17763.55 = the version you hit if you install Patch Tuesday’s Cumulative Update, KB 4464630. Here’s where we are, and how we got into this mess. The problem with the original version of Win10 version 1809 lies in the installer. If you’re sitting on 17763.1 (type “About” in the search box), and you still have files in your Documents, Pictures, Music, Screenshots, Videos, Camera Roll and/or Desktop folders, you’re OK.
Last week we paused the rollout of the Windows 10 October 2018 Update (version 1809) for all users as we investigated isolated reports of users missing files after updating. … In this case the update was only available to those who manually clicked on “check for updates” in Windows settings. At just two days into the rollout when we paused, the number of customers taking the October 2018 Update was limited. While the reports of actual data loss are few (one one-hundredth of one percent of version 1809 installs), any data loss is serious. You can judge the veracity of that claim as you wish, but I’d note in passing that the rollout wasn’t officially halted until Friday night, more than three days after the Tuesday launch, and either a) one whole heckuvalot of people clicked on “Check for Updates,” or b) every single one of the scorched 0.01% complained loudly — most of them directly to me. What happened? Microsoft says there were three bugs in the way the installer treated files that were installed in pre-defined folders that had been redirected — moved from one location to another. This “Known Folder Redirect” feature can kick in silently, notably if you installed an early version of OneDrive. You can try to slog through Microsoft’s explanation, or read Peter Bright’s much more accessible take on Ars Technica. In any case, if you got hit, it wasn’t your fault. Except that “Check for updates” part. I wonder how many people clicked “Check for updates” expecting that Windows would, you know, check for updates, only to discover that the contents of their Documents and Photos folders had been obliterated. Yesterday, Patch Tuesday, Microsoft started rolling out a new build for version 1809. If you’re in the Windows Insider program and your machine is set on the Slow or Release Preview ring, you saw an update yesterday, taking your machine from 17763.1 to 17763.17. See the flaw in that logic? In almost all cases this move doesn’t test the (badly) broken installer, the one that zapped files when moving from 1803 to 1809. Unless you’re on 1803 (or 1709), and switch to Windows Insider builds on the Slow ring, all you’ll be testing is the upgrade from a non-existent 17763.1 to a now-obsolete 17763.17. Let's hear it for rigorous beta testing. Yesterday, Patch Tuesday, saw the release of KB 4464330, which brings any build of Win10 version 1809 up to build 17763.55. In addition to all the security holes that got fixed on Patch Tuesday. Thus it would appear that if you get all the way to 17763.55, you’ll be beyond the two devastating bugs, and can feast on the usual, garden variety bugs. Of which there are many. 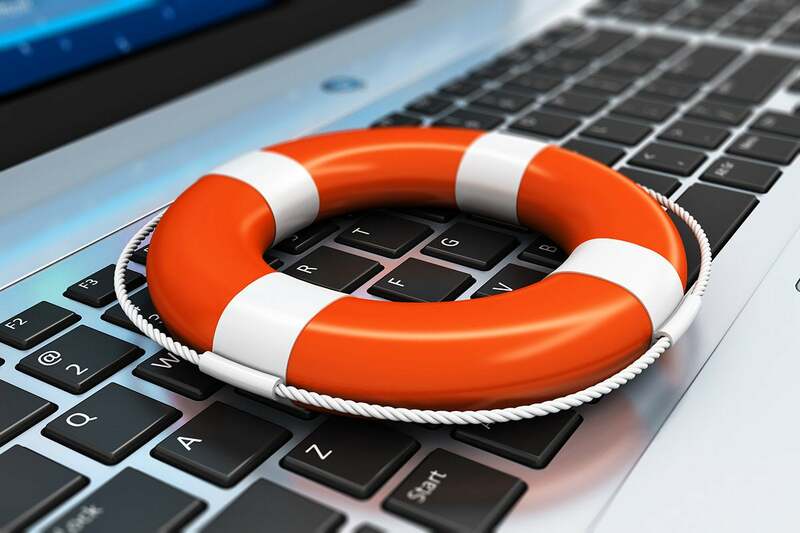 To help our customers that may be impacted by this issue, Microsoft Support is assisting customers and trying to recover data for users who may have experienced related data loss. Microsoft retail stores support services also offer this same level of support in-store. While we cannot guarantee the outcome of any file recovery work, if you have manually checked for updates and believe you have an issue with missing files, please minimize your use of the affected device and contact us directly at +1-800-MICROSOFT or find a local number in your area. For more information, please refer to our Windows 10 update history page (KB article), which we are updating with new information as it is available. Based on the discussions posted online, it’s apparent that Microsoft doesn’t have a magic wand, and probably can’t do any better than a run of Recuva or similar undelete package. If you lost the contents of your Documents or Photos folder and can’t pull it back yourself, you’re probably SOL. Nonetheless, the monkey’s on Microsoft’s back to restore your data. Microsoft has committed to improving the Windows Insider Feedback Hub, to “provide an indication of impact and severity when filing User Initiated Feedback.” I expect that to work just about as well as a home anemometer in a Cat 3 hurricane. More on which later. Most of all, you need to remain vigilant. Microsoft’s going to release 1809 to the masses once again, sooner or later, and you’d be well advised to avoid it, until the debacle that Gregg Keizer describes as “lab rat” beta testing is over. Say, in five or six months. Get your questions answered, and join me in analyzing that 0.01% figure, on the AskWoody Lounge.